We are Jacksonville's Premiere retail location for quality miltary uniforms, collectibles and more. Now you can get the same great merchandise you've always found in our Jacksonville location right here online. Need help? Contact us or stop by our location for personal and courteous service. Tradition. Honor. Pride. 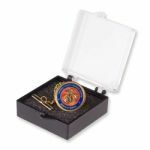 Commemorate service or personal milestones with coins, emblems, and other fine items. 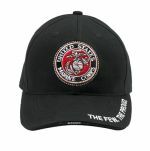 We have a wide selection of hats and caps. Find just what you're looking for here. With clothing for men, women & children, we've got you covered in style! © Copyright 2013 - Fosters Military Shop - All Rights Reserved.